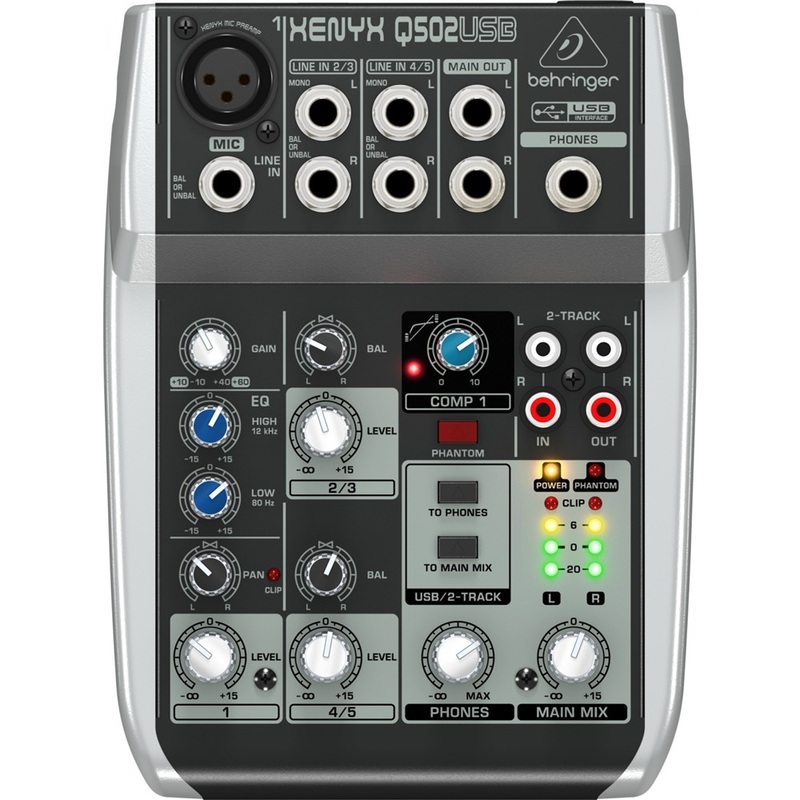 The Behringer XENYX Q502USB is a small format premium 5-Input 2-Bus Mixer with XENYX Mic Preamp & Compressor, British EQ and USB/Audio Interface. 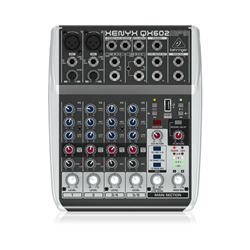 The XENYX Q502USB features great-sounding, high headroom XENYX mic preamps. These state-of-the-art mic preamps offer a staggering 130 dB of dynamic range with a bandwidth that extends from below 10 Hz to well above 200 kHz. Thanks to the built-in, bi-directional stereo USB audio interface, you can connect directly to your PC or Mac computer via a single USB cable. Now any signal source connected to the mixer can be recorded straight to your hard drive. 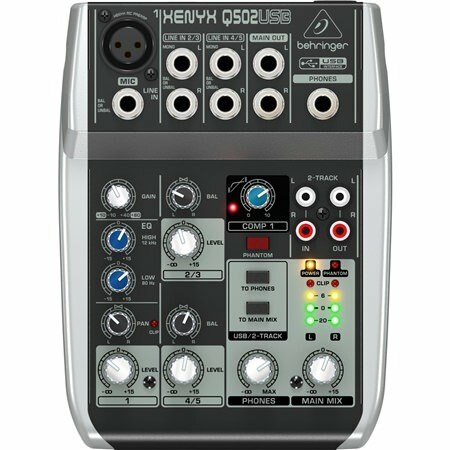 Got a solo gig at the local coffee shop, or just need to make a quick public announcement Simple sound calls for the simply excellent XENYX Q502USB, the 5-input, 2-bus mixer with everything you need for incredible sound. Thanks to onboard phantom power (please note - phantom power is +15V and may not power some studio condenser mics), Q502USB's XENYX mic preamp can handle dynamic, as well as a studio-grade condenser mic. Elegant in its simplicity, the British-style, 2-band EQ provides warm and musical tone correction. 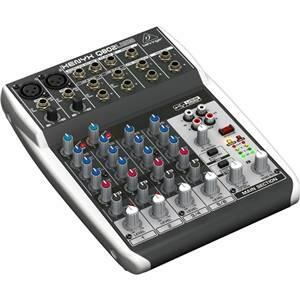 The Q502USB also sports RCA CD/Tape I/O, handy for playing break music or for recording your set. State-of-the-art, phantom powered XENYX Mic Preamp comparable to stand-alone boutique preamps - PLEASE NOTE - Phantom power is +15V and may not power some studio condenser mics - please check your mic. Built-in stereo class compliant USB/Audio interface to connect directly to your computer. Unlock your recording potential with the included Toontrack EZ Drummer Lite Plus and EZ Mix Basic software download. 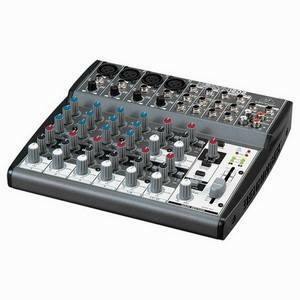 This product was chosen to fill the need of adding a mic input with compression and effect to an existing mixer. Although the phantom power is 15v not 48v it falls within the DIN spec and worked fine with all mics I have. The compressor only has adjustable threshold, the attack and release are set, but it performs very well. Although it does not have effects sends/ returns was able to use one of the main outputs to send to the effects unit and used one of the line inputs as the return. The usb facility works well. 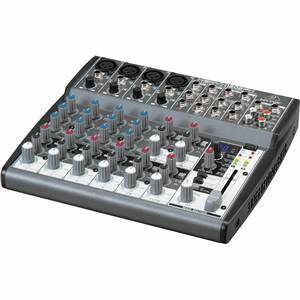 In summary a great little mixer that was delivered next day from studiospares.